3DIcon Corporation has announced its intentions to actively pursue commercial opportunities within the printable electronics market for its proprietary high volume liquid silicon precursor, cyclohexasilane, Si6H12 (CHS), which it gained access to through its recent merger with Coretec Industries LLC. Printable electronics fuses two major industries - electronics and printing - resulting in one rapidly growing sector. Applications of printable electronics visible to consumers exist in the form of radio- frequency identification (RFID) tags which are commonly used to track inventory (e.g. DVD cases or apparel), cars (e.g. EZPass), baggage, and other materials. These devices can hold an abundant amount of information that can be quickly scanned and digested, a key reason for widespread adoption that has created a large market for the technology. Printable electronics are produced by printing inks having various electronic material properties onto low temperature plastic or paper films using low cost roll-to-roll manufacturing processes. A challenge has been developing an ink that when printed exhibits the unique electronic material properties of silicon. CHS has this unique capability. CHS is a liquid at room temperature, which simplifies storage, transportation, and handling while improving safety. Derivatives of CHS can be produced that incorporate Boron and Phosphorous, required to make electronics, and further improves safety while simplifying processing. Once printed, CHS can be converted into silicon at low temperatures. The electronic properties of the silicon produced with CHS were found to be superior to that of competing printable inks. "Our acquisition of Coretec and its portfolio of silicon technologies was driven by the opportunity for commercialization in several rapidly growing markets, notably printable electronics," said Doug Freitag, CEO of 3DIcon. "Security and supply chain needs within retail, manufacturing, and other applications have created significant demand for printable electronics, resulting in what we believe is significant market potential for our technology. As the industry continues to evolve, we believe the continued development of our technology portfolio ultimately positions us to generate future revenue." As part of its initiative to commercialize CHS within the printable electronics space, the Company will seek to actively participate in top industry events where opportunities to showcase the technology and engage with other experts exist. 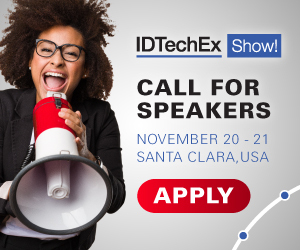 One such already disclosed event will be the upcoming IDTechEx show taking place November 16-17, where 3DIcon CEO Doug Freitag will give a presentation highlighting CHS and its applications within printable electronics. A recent market report published by IDTechEx forecasts the printable electronics market to reach $69 billion globally by 2026, led by technologies already in use or under consideration for RFID tags, security/monitoring, data storage, display and visual effects, and toys. The report also stateshat the largest current opportunity exists for organic light-emitting diode (OLED) displays, sensors, and conductors, all three of which are already billion dollar industries.